There is a new collection of rings! Women and men used to have some rings as stamps, for many reasons. I love the looked of those rings, but didn’t want to make stamps (for now jijiji). 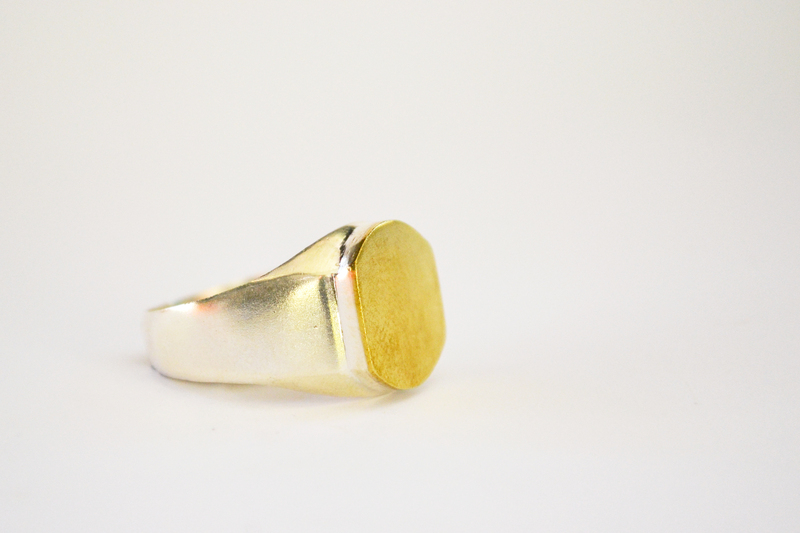 So I design some brass and sterling silver rings using the forms of the old ones. They have the best of both silver and golden colors. You can combine them with all your jewelry and the brass doesn’t touch your finger; so you wont get the brass/green finger problems. Here is a picture of one of the examples of the rings.